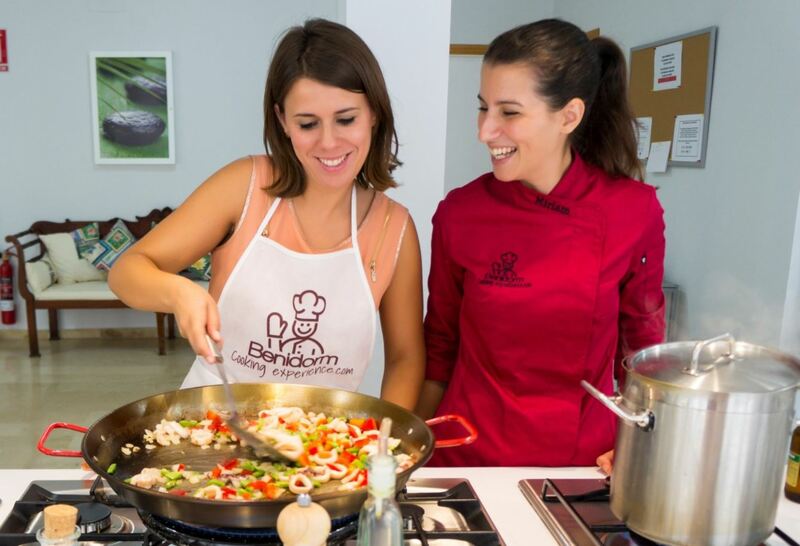 The “Traditional Spanish Cooking” class is a four hour hands-on workshop, which begins with a visit to the local market, where you’ll learn how to select the freshest local ingredients to use later in the class. Whilst at the market you’ll have chance to taste some delicious local specialities. 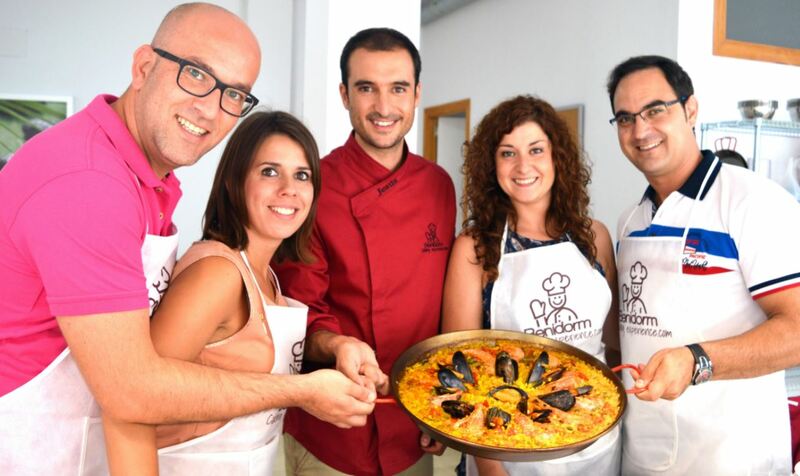 Then you’ll head to the kitchen, and learn to cook five of Spain’s most popular dishes. And of course afterwards you’ll sit down to enjoy the dishes you’ve made, with a glass of wine and great company! The classes are suitable for all abilities and you can come on your own or with friends or family. TO GET THERE BY BUS Take the number 2 from Av. Mediterráneo, going towards the Old Town. Nearest bus stop is C/Tomás Ortuño, 83 (the entrance to the underground car park). From there you need to walk down to the Oh Carol hair salon, turn right, the next left, the second right onto Calle Jupiter Nº 18 (270 meters / 3 minute walk). TO RETURN you need to get the bus from the Jaime I, 50, so go back to where you got off the bus but keep walking up the road, turn left at Visual Home, and it’s the first bus stop on the left.